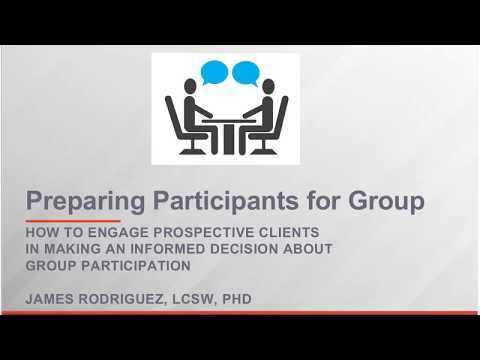 In this initial webinar, Dr. Rodriguez presents the first of four series installments on Creating Successful Group Experiences. This webinar highlights participant engagement and discusses group experiences while assessing members’ comfort, readiness, and applicability. The content presented will focus on working with adults, with some additional special considerations for working with children and youth. Dr. James Rodriguez works with Step-Up and the clinical education teams at the McSilver Institute. His work at the institute includes direct practice, training and supervision with an eye to developing evidence informed practices in the area of child and adolescent mental health. Prior to coming to McSilver, Dr. Rodriguez worked for five years as a child therapist in the School-Based Mental Health program in the Department of Psychiatry at New York Presbyterian Hospital (NYPH). Prior to his clinical work at NYPH he was a research scientist with the Research Foundation for Mental Hygiene in the Division of Child and Adolescent Psychiatry, Columbia University. Dr. Rodriguez received his MSW degree from Columbia University School of Social Work and his PhD in Counseling Psychology, Counselor Education and Supervision, from the University of Washington in Seattle. Access the demonstration video here.